Today is the day of Donald Trump’s inauguration as President of the United States. That, for sure, is not a sentence I ever imagined these fingers having to type. But here we are. There will be many articles published today quite rightly pointing out what a disaster he is, and all the dreadful things that look set to happen. But I actually feel oddly optimistic, and I’ll tell you why. Over Christmas I went to see J.K.Rowling’s new film ‘Fantastic Beasts and Where to Find Them’. In it, one character says “my philosophy is that worrying means suffering twice”. I’m not prepared to give Trump and his cronies the satisfaction of assuming that it will all work out as he assumes it will. I refuse to go along with the tone prevalent in much of the progressive writing I read which assumes that catastrophe, apocalypse even, is inevitable. Rather, I think this might be the making of us. The Emperor’s lack of New Clothes will become apparent very quickly. There is no way that, in spite of his pre-election promises, he will be able to reopen coal mines, reverse the surge of renewable energy, build a wall on the Mexico border. It won’t happen. His ‘draining the swamp’ has meant, in practice, filling his cabinet with the swampiest bog dwellers imaginable. The stark and inescapable dysfunction at the heart of it all will make it so much harder to believe that business as usual is appropriate, effective or even viable. 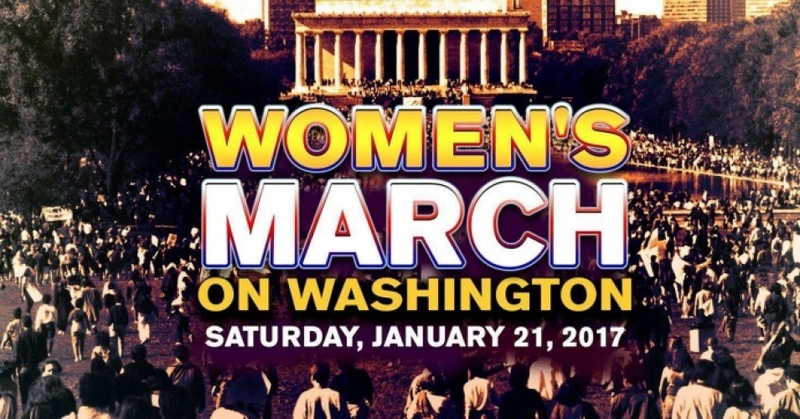 The day after his election, the Women’s March on Washington takes place. It looks set to be the biggest demonstration in the history of the US, a celebration and reaffirmation of human values. I think we will see unprecedented coalitions of campaigns and groups, working together as never before, something we got a taste of with Standing Rock. With such a pantomime villain at the helm, I think we will see remarkable comings together of different campaigns and activists. In the same way that Thatcher mobilised extraordinary, cross-connecting movements, so will Trump, but more so. But empathy is an increasingly scarce resource at the moment. A 2011 study of college students in the US found that their empathy is in decline, down 40% from their counterparts of 20-30 years ago, and their levels of narcissism are unprecedented. Another study, ‘The Creativity Crisis’, has shown that imagination in the US is in decline. Until 1990, imagination and IQ rose in lockstep, but around then, parted company. Empathy, the ability to “step imaginatively into the shoes of another person”, requires imagination as a pre-requisite. I would argue that Trump’s election represents the inevitable outcome of these declines. A profoundly un-empathic campaign, run by a profoundly un-empathic and deeply narcissistic man, who ran on the profoundly unimaginative slogan of ‘Make America Great Again’ (subtext: like it was once, before, in the past). Those particular chickens have come home to roost. If someone wrote that about me, I’d be horrified. I’d want to know what I had done, or said, to provoke such a reaction. But no, Trump was straight out on Twitter, calling her “over-rated”, and “a Hilary flunky who lost big”. No reflection on what she’d said. Similarly, when the recent Russian dossier suggested he had engaged in, erm, ‘watersports’, in a Russian hotel bedroom, his defence was it couldn’t be true because he’s a ‘germ-o-phobe’, and because he always advises his staff that any hotel room they stay in is probably bugged. Not “I’m a married man, and I hold myself to higher personal ethical standards”. “Each of us now has an opportunity to join with others and contribute to an historic third wave of empathy that leaves an indelible mark of humanity on the world”. “…a kind of narrative of negativity that there was up to the 90s, this ability of saying ‘no’ really, it is not a good time to be alive, it doesn’t really happen anymore. It’s there, an explicit refusal of negativity, that what you get is depression instead of that, a kind of implicit negativity… This new reality is at the same time overstimulating and boring, it’s a strange combination of the two, and it is also anxiety producing”. Me, I will be marking this day by preparing for the simultaneous premiere’s of the film ‘Tomorrow’ on the following Tuesday. Shown in Bristol, Todmorden and Totnes on the same night (the 3 UK places in the film), the premieres kick off a 6 month period of community screenings across the UK. It matters because it is a film that fires the imagination with possibility, and imaginations fired with possibility are perhaps what we need now more than ever. Reach out, get together, create spaces where people can talk, share feelings and insights, grow empathy. There was one preview of the film, in the Forest of Dean. After the film, one woman was asked for her response to the film. She said it was to “buy a pig and feed it weeds”. Well why not. “We can’t have a testimony without a test, and we are being tested right now, for whether or not we’ve got courage enough, hope enough, fight enough, love enough to do what’s necessary”. "They will hold back the tide of change for as long as they can. And then the barrier will burst".